Build with Chrome, which uses the latest WebGL 3D technology to bring the delight of building LEGO creations together online. These are all absolutely beautiful and there are thousands and thousands more. But this extraordinary piece of design and construction takes the cake... a intricate cityscape, posted by a genius builder on Google+. The location is a mystery... but the hunt is on - if you can find the mystery builds, please share with +Google Australia. Less than a month ago, we launched our latest Chrome experiment, Build with Chrome, which uses the latest WebGL 3D technology to bring the delight of building LEGO creations together online.
. With so many people looking to make the most of the state’s extensive transit network, we are excited today to announce the launch of public transport directions in Google Maps for NSW. Just as we added cycling directions two weeks ago, you will now be able to quickly generate public transport directions from point A to point B by simply clicking on the “Get Directions” button and then selecting the public transport icon. To see how it works, search for a Thai restaurant in Sydney on Google Maps, click on “Directions,” input your current location, choose a departure or arrival time, and then let Google Maps recommend the most convenient public transport options. The results show you step-by-step directions including the best way to walk to a bus stop, ferry wharf or train station — as well as estimated travel time. On the left hand side of the map, you will see each step in the journey; click to see it pinned on the map. If you want, drag Pegman over to the location and scope out what the stop or station looks like in Street View. With Google Maps for Mobile on Android phones, you can also use Navigation to get a step-by-step guide that gives you alerts when it’s the right time time to get off the bus or when to make a transfer. Public transport directions will be helpful to get around Sydney, but with 57 bus, train and ferry companies included, people living across the state, in towns large or small, will be able to take advantage of this new feature. Whether you use public transport every day or just occasionally, whether you use it as a commuter or as a tourist, we hope that public transport directions for NSW give you more choices in planning your trips. Locals and tourists alike use New South Wales’ hundreds of train, ferry, and bus lines — to the tune of over 500 million times per year. With so many people looking to make the most of the state’s extensive transit network, we are excited today to announce the launch of public transport directions in Google Maps for NSW. We’ve hung out with the PM... who’s next? Raise awareness of a cause. The +Catlin Seaview Survey based in Queensland has been holding underwater hangouts in the Great Barrier Reef as a way to raise awareness of their study on the effects of warming sea temperatures. Watch here. Teach. +Chef Hangouts offers cooking classes with dozens of chefs via Hangouts, in the comfort of your own kitchen. Keep an eye out for classes from Sydney’s +Jackie M and you can learn Malaysian cooking. Meet their fans. +Carlton Football Club’s Chris Judd is hanging out with his fans today at 1pm AEST. Radio station +Nova FM launched the Digital Red Room, which connects stars like Carly Rae Jepsen with fans across the country via Hangouts, +Take40 Australia have been holding competitions to hangout with uberstars such as David Guetta. And TV viewers have been connecting face-to-face-to-face after the show with their favourite stars in TV’s Bondi Rescue and The Voice Australia. These are just a few examples -- it’s been amazing what people have been dreaming up. When we built Hangouts, we certainly didn’t expect to see Perth’s +Paul Pichugin using it for +Virtual Photowalks down a West Australian beach, helping people with limited mobility to experience, from halfway around the world, an Australian sunrise and real Aussie surfers catching some waves. Tell us on +Google Australia what types of Hangouts you’d like to see more of -- and tell us who’s been hosting great ones! On Saturday morning, we woke up, made a cup of tea, turned on the Internet, and tuned in to...Prime Minister Julia Gillard? The Prime Minister was grilled by ordinary Australians on hot topics like gay marriage, obesity, the digital economy, carbon tax and education. She joins Barack Obama, Ban Ki-Moon, Desmond Tutu and the Dalai Lama on the list of world leaders who have participated in Google+ Hangouts, perhaps marking the next chapter in how technology is going to change our expectations for interacting with our leaders. In May we launched our first Google Sudo event - a Google Start-Up Do - on the topic of incubation and venture capital. Over 200 aspiring entrepreneurs joined us live, and even more joined online in our Hangout (watch the recording here), for an engaging panel discussion with Mike Fox & Mike Knapp from start-up Shoes of Prey, angel investor Vivian Stewart from Sydney Angels, and VC Bill Bartee, from Southern Cross Venture Partners. This month we’re back with a new panel and a new topic! On Tuesday, July 31, in Sydney we’ll be discussing how to drive user adoption. We’ll be learning how several experienced entrepreneurs took their products from a few users to hundreds and thousands, and how you too can scale your internet business. Please register your interest here. We will email you an invitation if your registration is successful. Due to limited space we won’t be able to accommodate everyone, but we are hoping to stream the event over Google+ Hangout again -- stay tuned! This blog post was updated with additional panelists on 24 July 2012. An all-too-common response to calls for investment in faster Internet is a derisory snort that hardly anyone needs to watch more videos online. We still imagine the Internet as it was 5 years ago, when it admittedly had the mental age of a smart adolescent. I’d argue that since then it’s worked its way towards its graduate degree and we should take a fresh look. All culture is becoming Internet culture and that’s changing the economics of mass media and high culture. It’s no longer an either-or choice between The Shire and Four Corners -- or at least technological constraints that used to force that choice have vanished. That also changes the arithmetic of investment in the Internet, from one of business logistics to one of culture. Look at what happened on Saturday which was available to all Australians with a reasonably fast Internet connection: thanks to Deakin University and Fairfax, our Prime Minister dialed into a Google+ Hangout for a video conversation with the nation. We had all been able to pose questions before, and 9 people joined her on the Hangout from their own computers, and the rest of us could watch and discuss on social media. The PM also took some questions asked on Twitter, Facebook and Google+ during the Hangout. This was a big moment in the evolutions of politics and the Internet. In 2007, it seemed cool enough when Google engineers were capable of putting together a special page to track Australian federal election news and results. In 2008, Barack Obama’s use of Facebook and YouTube seemed to not just freshen his image but to give him a tactical edge over John McCain. In 2010, the use of YouTube to put Australian election coverage in the hands of the young seemed like a big deal here. Now, in 2012, it’s not enough for people to watch YouTube videos of the U.S. president or Australian prime minister answering their questions; they are now participating in videoconferences live with their leaders. The age of soundbites broadcast over mass media is giving way to an era of close interactions between politicians and voters that go anywhere the Internet does. We’re seeing similar forces in education and the arts. When I tell you that Chris Tisdell recently passed a million views of his videos on YouTube, visions of toddlers or cats falling off things probably float in front of your eyes. Professor Tisdell drew those millions by recording his mathematics lectures to students at the University of New South Wales. “This video gently introduces the concept of a partial derivative,” reads one video’s description, which wins the comment, “You are a good instructor. You are clear, concise and your preplanning is impeccable.” If you’re familiar with either YouTube comments or the average student’s appreciation for mathematics, your jaw just dropped. Great teachers make for great teaching, and technology can’t change that. It can extend the reach of those teachers. Most of Prof. Tisdell’s audience aren’t even in Australia, but in India and the U.S. (Education is already the third-largest Australian export; imagine the possibilities to our economy if we use the Internet to continue to grow our reputation for excellence.) Sadly, many Australians have less access to Prof. Tisdell than foreigners do. Australia has the second-highest proportion of smartphone penetration in the world but over half a million Australians still struggle to check email on slow dial-up connections. This is the country that was visionary enough to develop the School of the Air over short-wave radio. That same vision implies that the Internet has to be a major part of any educational investment -- broadband is bringing a thirsty audience to education from all over. That applies not just to education, but to the humanities as a whole. The Australian cultural industry looks very different on the Internet from the one I grew up with, the one that caused hand-wringing as to what was truly Australian culture and how to protect it from foreign imports. When it comes to online video, Australia is a net exporter. Without any subsidies to push this forward, Australian online videos get more views outside Australia than foreign videos get within Australia. The Sydney Opera House speaks of the Internet as its eighth stage, allowing it to send entire performances to anyone with an Internet connection for less money than it would cost to send them a ticket. I’d also like to note that it’s remarkable to me that professors, artists, musicians and politicians are seizing this opportunity so much more quickly than a lot of the business community. I frequently get the impression that the Internet isn’t serious enough for hard-headed businessmen. I wonder where they go for their partial-derivatives lectures. One way to frame this is to say that broadband capable of transmitting video has vastly increased the returns of investment in broadcasting knowledge and ideas. The Internet, so long viewed as a distraction from culture, is now allowing culture to compete more effectively with distractions. As a country and as a community, we need to make similar investments to ensure no one gets left out. This blog post was first published by The Age. In the winter of 1913, a British newspaper ran an advertisement to promote the latest imperial expedition to Antarctica, apparently placed by polar explorer by Ernest Shackleton. 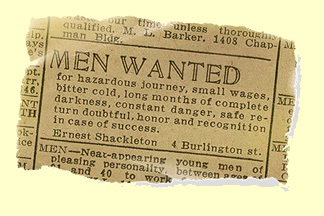 It read, "Men wanted for hazardous journey. Low wages, bitter cold, long hours of complete darkness. Safe return doubtful. Honour and recognition in event of success." While the ad appears apocryphal, the dangerous nature of the journey to the South Pole is certainly not—as explorers like Roald Amundsen, Robert Falcon Scott and Shackleton himself discovered as they tried to become the first men to reach it. Back in September 2010, we launched the first Street View imagery of the Antarctic, enabling users from more habitable lands to see penguins in Antarctica for the first time. Today we’re bringing you additional panoramic imagery of historic Antarctic locations that you can view from the comfort of your homes. We’ll be posting this special collection to our World Wonders site, where you can learn more about the history of South Pole exploration. The goal of these efforts is to provide scientists and travel (or penguin) enthusiasts all over the world with the most accurate, high-resolution data of these important historic locations. With this access, schoolchildren as far as Bangalore can count penguin colonies on Snow Hill Island, and geologists in Georgia can trace sedimentary layers in the Dry Valleys from the comfort of their desks. So feel free to leave your boots and mittens behind while still embarking on a trip to Antarctica. NGEN for a panel discussion called “Industry in 2017” with an illustrious group of Australian media industry executives and CEOs. Sharing their thoughts on how the industry will evolve over the next 5 years were heavyweights like Sophie Madden, Marketing Services Head, Kraft Foods; Mark Buckman, Chief Marketing Officer, Telstra; Kerry Field, General Manager, Mindshare; Mat Baxter, Chief Executive Officer, UM; Matt James, Managing Director, mi9; James Warburton, Chief Executive, Ten Network as well as Nick Leeder, Managing Director, Google Australia & New Zealand. Henry Tajer, President of the MFA and Executive Chairman of MediaBrands Australia, hosted the session. The panel agreed that big data, social media, video and liquid media planning are abuzz for good reason. For all panelists the future of the media industry will be centred around data and measurement. Advertisers demand real return on investment (ROI) and agencies who can service this more than ever before. Hence media plans need to be “liquid” to react to changing audiences, opportunities and media. The panelists were split on the need to return to a full service agency model and on the question of Price vs Value. Yesterday Google Australia hosted around 150 members of young media professionals networking community NGEN for a panel discussion called “Industry in 2017” with an illustrious group of Australian media industry executives and CEOs. We'll continue to add new cycling lanes over time. And since cycling directions is still in beta, we encourage riders to send feedback and route information for inclusion by clicking on the report a problem link. 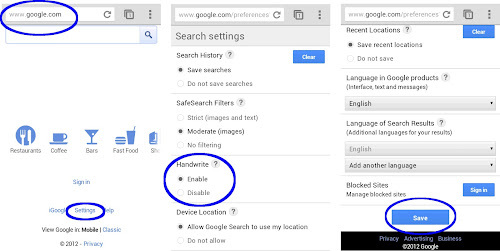 So for those going for a Sunday afternoon ride with the family, or training to be the next Cadel Evans, we hope that bicycle directions in Google Maps can help make it easier to safely plan your next outing. Happy cycling! We're big fans of bicycling here at Google Australia, and based on how much we get asked, “When is cycling coming to maps in Australia?” we know most of you are cyclists too. Good news is that today we’re launching cycling directions on Google Maps in Australia — providing you with a new way of getting around town. Our routes were made possible in part thanks to the support of councils around the country who provided us with information on bicycle-friendly streets and areas. If you want to bike to work or your local shops, or simply want to spend more time outdoors, cycling directions will help you find the best way to get where you want to go. For example, if I commute from Liberty Grove to the Google office, biking directions can now tell me the most convenient and efficient route that makes use of dedicated bike lanes and avoids hills whenever practical. If you decide to stop off at your favorite coffee shop, you can either add it as an extra destination in the menu on the right or simply drag the route. The directions will continue to take cycle lanes into consideration. Today Fairfax Media, a leading multi-platform media group in Australasia, announces that it will provide its employees with Google Apps for Business. This makes Fairfax Media one of the largest Google Apps customers in the Asia-Pacific region, and they join 5 million other businesses, including fellow Australian companies such as Visy, Jetstar, Flight Centre and Ray White. After a successful Google Apps pilot program earlier this year, Fairfax will now work with Google Apps Premier Reseller, Cloud Sherpas, to ensure all staff have access to Google Apps by November 2012. The Fairfax Media group comprises metropolitan, rural, regional and community publications and websites across Australia and New Zealand. High profile mastheads include The Sydney Morning Herald, The Australian Financial Review and The Age, along with their corresponding national news websites. A key part of Fairfax’s business is about quickly, efficiently and expertly providing information and content to its readers and customers — and the multi-tenant communication platform that Google Apps provides will help keep Fairfax at the forefront of its industry. Google Apps is a central part of the company’s “Fairfax of the Future” program transforming it into a “digital first” media organisation. By taking up the heavy lifting of storing data and managing infrastructure, going Google will allow Fairfax to focus on being a media company and not worry about also being an IT provider. And the real-time collaboration in Docs and communication facilitated through Talk and Google+ Hangouts will allow reporters and editors working in various locations to overcome geographical barriers. We're excited to see Google Apps as a key piece of Fairfax's transformation into the future model of a media company. These tools will allow Fairfax not just to allow employees to work in the future but to let the entire company better concentrate on the thing they do best — keeping the public informed.